Assistant for the inaugural edition of the Italian Modern Pastry Program for international students, led by Chef Docente Alessandro Masia. Andrea Perino sognava una bottega in cui poter lavorare una delle arti più antiche, e farlo a modo suo. Ed è così, tra sogni e farina, che nasce il panificio Perino Vesco: un laboratorio della panificazione, una casa dell'arte bianca che tutti giorni accompagna Torino con il profumo del pane. In un’elegante struttura che risale al ‘600, un tempo dimora del pittore bolognese Cesare Aretusi, trovano spazio la nuova trattoria con cucina tradizionale ed il ristorante gastronomico, guidato dal giovane chef Alessandro Panichi, all’attivo un’esperienza in grandi cucine internazionali. La carta, in costante evoluzione, propone alta cucina di ricerca tra novità e tradizione. SERINO/COYNE is a full-service advertising agency specializing in entertainment and theatre-related accounts. It is part of Omnicom Group Inc., a leading global communications company. Responsible for successfully incorporating technology and insights-driven initiatives into the overall structure and culture of the nation’s preeminent advertising agency devoted solely to live entertainment, and developing and maximizing the firm’s knowledge, abilities, and success in the digital sphere. Provided strategic oversight, user experience advocacy, and project management on multi-million dollar integrated advertising, social, and web campaigns for Broadway productions and performing arts organizations. Clients included The Book of Mormon, The Phantom of the Opera, Disney Theatrical, The Tony Awards, and The Metropolitan Opera. In Fall 2013, proposed and taught a 12-week Digital Professional Development curriculum for senior agency leaders that led to the development and implementation of an agency reorganization, the introduction of the Insights department, and a large-scale database project to leverage the agency’s 37 years of media and sales metrics. Art Meets Commerce is a full-service new media solutions firm specializing in the arts and entertainment field. Led the inception of a business unit focused on consumer-facing projects such as the iBroadway iOS app. Directly supervised the integrated design team. In December 2010, Art Meets Commerce merged with Serino/Coyne to become the core of their digital practice as the result of a multi-million dollar acquisition by Omnicom Group, Inc. Managed a team of interaction and graphic designers to create the visual identity and cross-platform advertising campaigns for Broadway, Off-Broadway, and non-profit entertainment accounts. Clients included Fela!, Lombardi, Rock of Ages, Stomp, and The Miracle Worker, for which I supervised the development of the first WCAG-compliant Broadway show website in partnership with leaders in the Deaf and Blind communities in NYC. Designed and built websites, landing pages, social apps, and print/web advertising creative for theatrical clients, including the first standards-compliant site for Broadway, and the first mobile-optimized site in the industry. 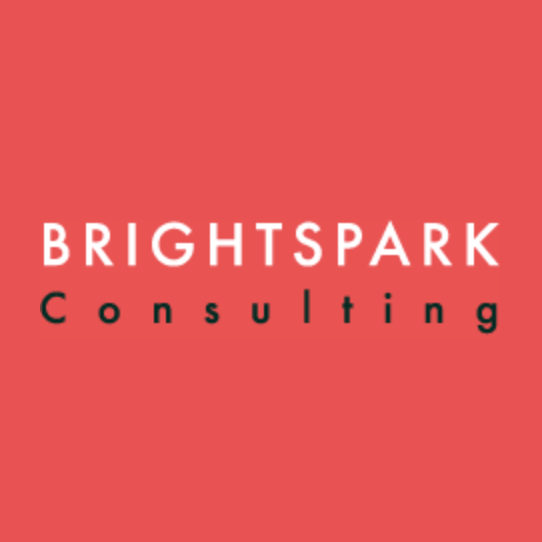 Brightspark Consulting specializes in killer content, engaging social media and beautiful websites. Designed and developed websites for numerous large corporations and non-profits in and around Ireland. Projects included Honda Motorcycle, Ecogroup, Kanchi Network for Disability Awareness, and The National Association of Youth Drama.